This kit converts 1993 (ET) and newer 9.9/15 model Evinrude® and Johnson® outboard motors to remote shift and throttle operation. Remove screws (A) and lower motor covers. 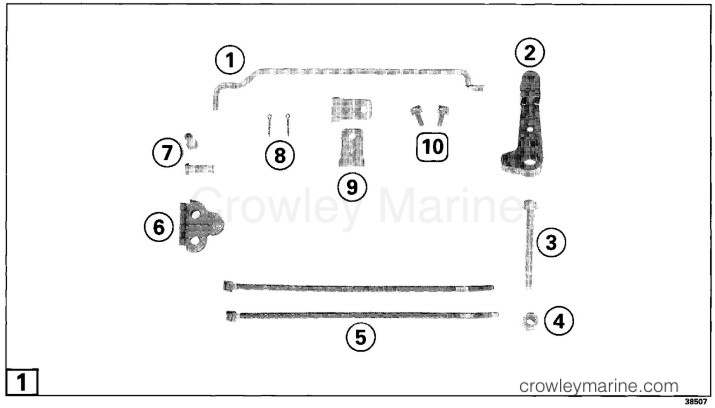 Remove throttle cable anchor screw and washer (B) from powerhead. Install screw and washer in hole (C) to save parts for future reconversion to tiller control. Pry out throttle cable pin (D), remove cable. Reinstall pin in connector (E). Remove throttle lever screw and washer (F). Washer will be reused. Rotate propeller and shift motor into FORWARD gear. Insert shift link (1) into detent lever (A), and rotate link back. Shift motor into NEUTRAL. Assemble shift lever (2) on shift link (1). 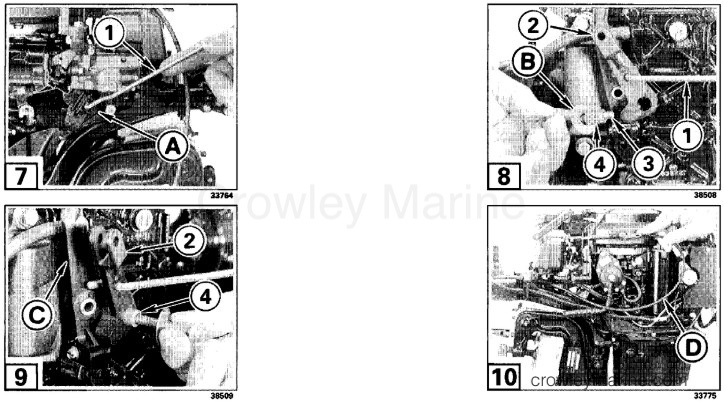 Insert shift lever screw (3) thru washer saved (B) and bushing (4). Coat bushing (4) with Triple-Guard® grease and push bushing into shift lever (2). Insert screw through bushing in throttle lever (C), and into block. Tighten screw to 60-84 in. lbs. (7-9 Nm). Pull tiller handle throttle cable (D) out from under starter handle to the port side of motor. 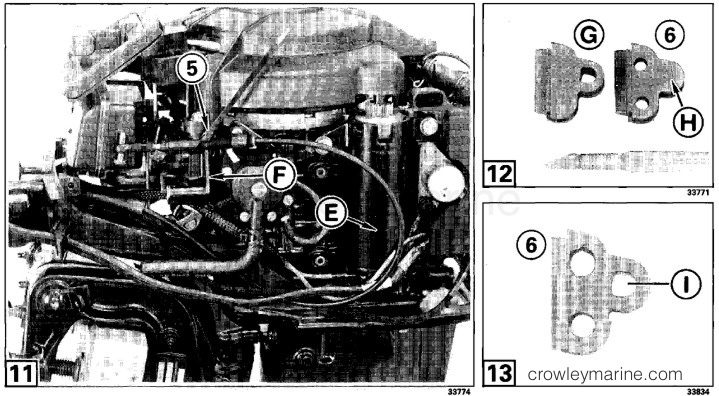 Route cable back along bottom of lower motor cover, up outside the starter (E), and forward to the manual starter mounting post (F). Secure to post with a tie strap (5). Remove starboard grommet (G) and save for future reconversion to tiller control. Using a knife, carefully cut out choke shaft hole (H) in grommet (6) included. Cut a slit (I) in grommet (6) to the choke shaft hole. Extend control cables and lubricate casings with Triple-Guard® grease. 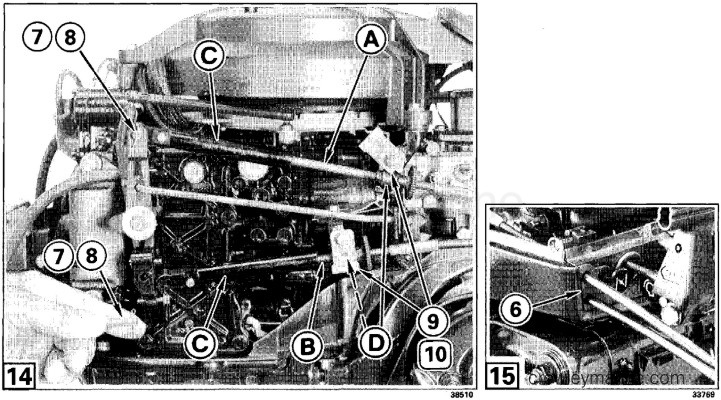 Install shift cable (A) and throttle cable (B), securing the casing guides (C) with clevis pins (7) and cotter pins (8). Secure clevis pins by spreading cotter pin ends. Secure cable trunnions (D) with anchor pocket covers (9) and cover screws (10). 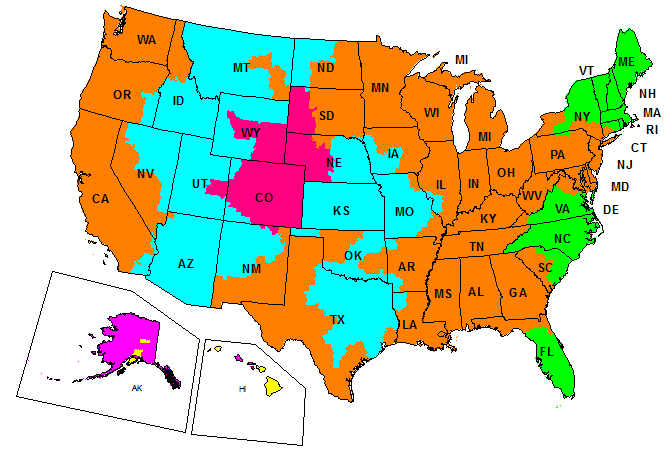 See the Service Manual, Section 9 - Throttle and Shift Cable Installation for procedures. Replace lower motor covers. Install control cables in grommet (6). After cables are installed, verify that the controls work as intended for safe operation. Check idle speed. 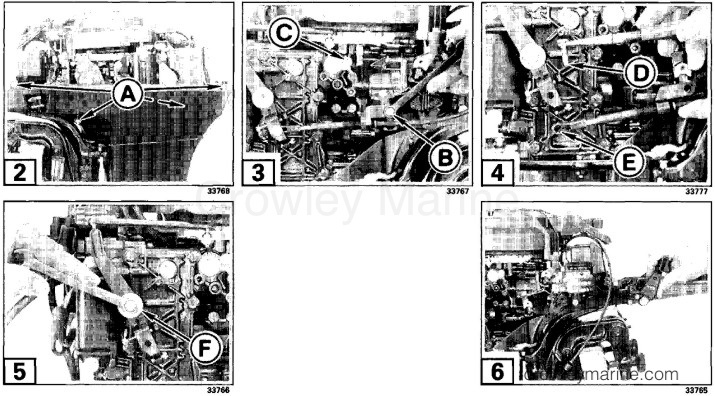 See Service Manual, Section 1 - Synchronization and Linkage Adjustments for procedures.